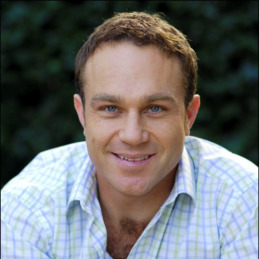 Michael Slater is a former opening batsman in the Australian Test cricket team. Known in the media and by friends simply as ‘Slats’, he was a highly-competitive and aggressive strokemaker with the full complement of cricket shots. Born and raised in Wagga Wagga, Michael was a product of the Australian Cricket Academy and had a meteoric rise to prominence. At the start of the 1992/93 season Michael had a place in the New South Wales second XI. By the end of the summer he would have a place in the upcoming Ashes tour of England. Opening the batting with fellow New South Welshman Mark Taylor, Michael scored a half century on debut and followed it up with a century at Lords, cementing his place in the team. As the Australian team celebrated a golden era, Michael enjoyed individual success with a highlight being his 219 against Sri Lanka in Perth in 1995/96. The home series against New Zealand in 1993/94 saw him score 305 runs at 76.25. He backed it up against England in 1994/95 with 623 run at 62.30. Michael was one of only four players to have appeared in the Australian team’s record equaling 16 consecutive Test victories between 1999 and 2001. Michael’s trademark celebration was kissing the coat of arms on his helmet after each century, a feat that he would accomplish 14 times. Michael also holds the unenviable world record of being dismissed nine times in the 90s.